Argentina’s Malbec grape is a “seriously thrilling star” that consumers embrace for its “damsony,” soft and juicy profile, says Oz Clarke in Grapes and Wines. Indeed, it’s big enough to enjoy with a charred steak or hearty stew, but it’s also silky and approachable enough to appreciate on its own or with lighter fare. Once a major component of great Bordeaux blends, Malbec now thrives on a far-off continent thanks to a series of both unfortunate and serendipitous events. In the mid-19th century, Malbec vines found their way to vineyards in Mendoza, Argentina, not too long before phylloxera—a root-eating aphid that attacks grape vines—arrived in Europe on imported American vines in the late 1800s. The unadapted European grape vines—Malbec included—began to die out around France until farmers grafted them to phylloxera-resistant American rootstock. Argentine winemaker Laura Catena of Bodgas Catena Zapata explains in her book, Vino Argentino, that Malbec performed poorly on American rootstock because it produced overly vigorous plants whose fruit did not ripen well. Thanks to the isolated nature of Andes Mountain vineyards, phylloxera never developed in Argentina, allowing Malbec there to thrive on its own roots. 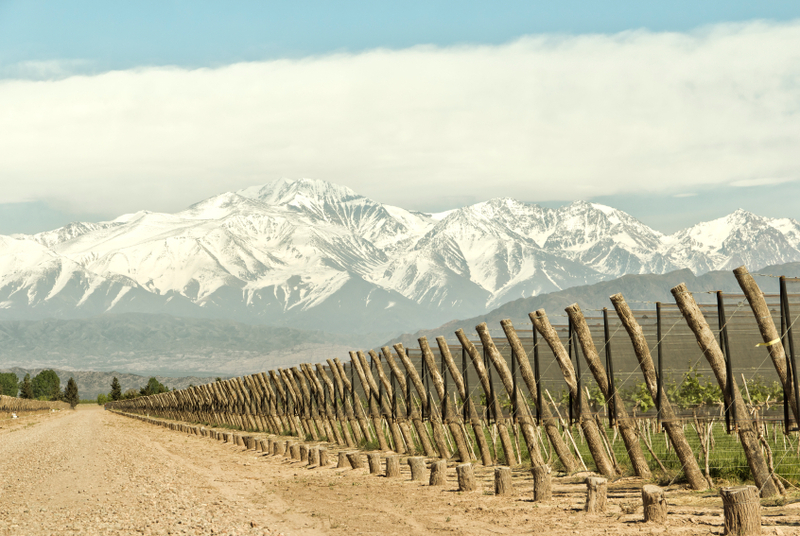 Today, these high-altitude vineyards, with their relatively cool but exceedingly sunny weather, provide the ideal environment for producing opulent Malbec wines that possess soft, ripe tannins with plum and black fruit profiles suitable for either oak or stainless steel aging. While Bordelaise winemakers mostly abandoned the grape, other French winemakers southeast of Bordeaux in Cahors mastered the art of growing grafted Malbec. Today, their wines offer drinkers a more rustic style with chalky tannins that Cahors winemakers note typically exhibit “violet, black currant, cherry, licorice, vanilla, menthol and truffle.” In addition, Malbec grows in France’s Loire Valley, where winemakers, who call it “Cot,” blend it with other grape varieties. Consumers will find many value-priced and premium Malbec wines within the large Total Wine & More selection. The more affordable versions are perfect for everyday sipping and enjoyment with simple meals such as pizza, pasta and burgers, whereas the premium, often oak-aged versions offer a superb match with hearty beef, lamb, stews and other rich dishes. Check out Laura Catena’s food pairing advice on her Web site MalbecLife.com as well as food pairing suggestions at CahorsMalbec.com. First Annual Malbec World Day! Loved the article. I’m wondering, is Malbec the wine for me. I like a dry red, slightly sweet and always bright, crisp, and light never thick and chewy or complex. I don’t like tannin and I don’t like oak. What do you think? Will a Malbec fill the bill? Can you make a suggestion? This article has really gotten me thinking I need to head over to total wine & more and pick a few malbecs. Thanks again for the info I feel confident I can choose a Malbec that I will like with this information. Hi, Carol! By its nature, Malbec tends towards being medium-bodied and soft. Here are a few of our favorites: Cruz Alta, Finca Flichman and Maipe. There are some lighter Patagonian versions that are also tasty, Cholila Ranch, Phebus and Finca Roja. Just ask a wine team member to help you with these next time you visit the store. Happy drinking! Hi Carol! I also suggest the #CatenaMalbec. It is a wine of unique character that has balance, concentration and a strong varietal identity. You can find more information in http://www.catenawines.com/eng/wines/catena/catena.html or ask to @CatenaMalbec in twitter. Cheers!